With quick and sweeping brush strokes of bold colors, artist Susan Adams captures fleeting moments of time on her canvasses. Living and painting in Costa Rica for more than 20 years, Adams continuously finds constant sources of inspiration. She can take us from deep within the jungles of Costa Rica to Guanacaste countrysides and fiestas. Graduating from Southwest Texas State University with a degree in commercial art, Susan has attained numerous awards, and is a dedicated supporter of numerous animal wildlife sanctuaries. 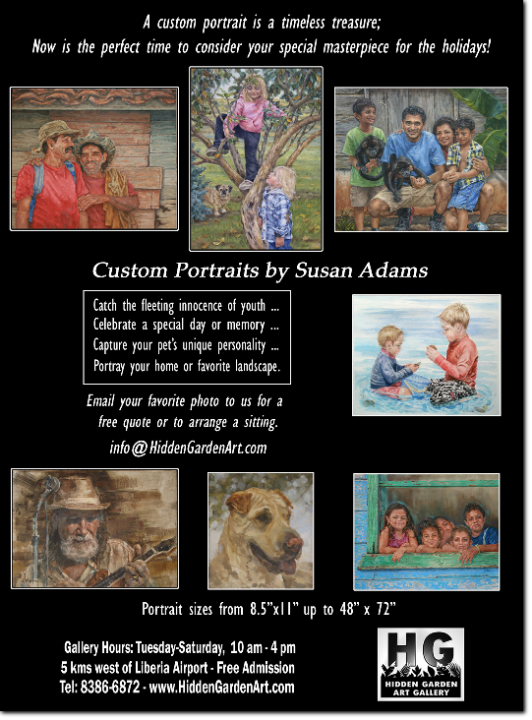 Susan's techniques are varied and include oils, acrylics, stucco, gesso and metallic paints. Her images come to life on canvasses and banana papers, and sometimes doors and windows. Adams collectors are worldwide, including Tokyo, Berlin, Scotland, Australia, United States, Canada, and Costa Rica. 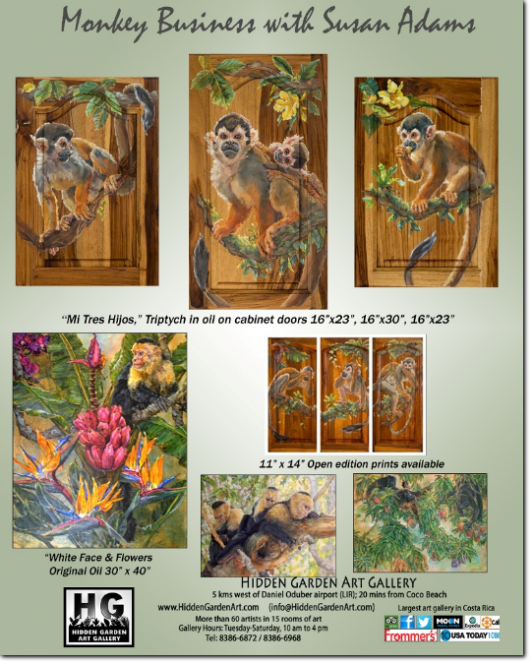 See the slide show of Susan's installation of "Jungle Mist & Savannah Summer," at the Daniel Oduber International Airport. Read more about Susan in the Tico Times, and in the Costa Rica Star.